The Gerber Crevice knife model 30-000174 attached to your gear easily thanks to the built-in carabiner. 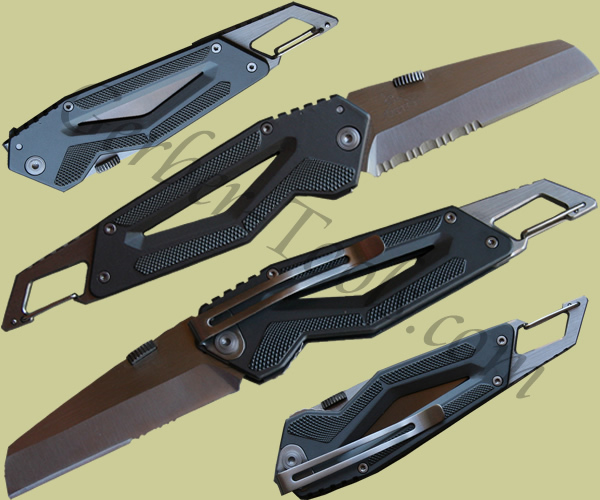 This version of the Gerber Crevice features a partially serrated blade. Never worry about getting your beer open because this knife has a bottle opener integrated into the carabiner tool.